Next on The Scoop: Have You Noticed Your Cat Licking His Lips? What’s Going On? 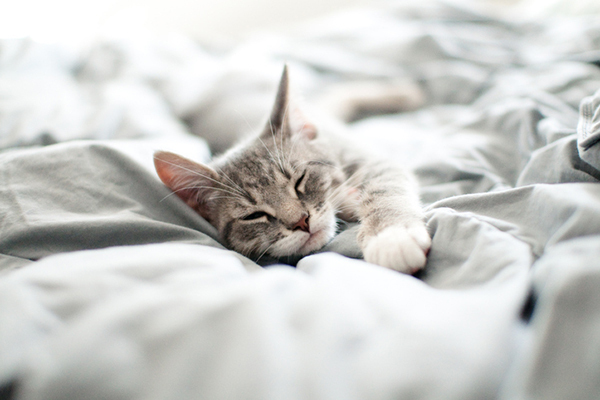 Cats are cute and cuddly — but they’re also major commitments. 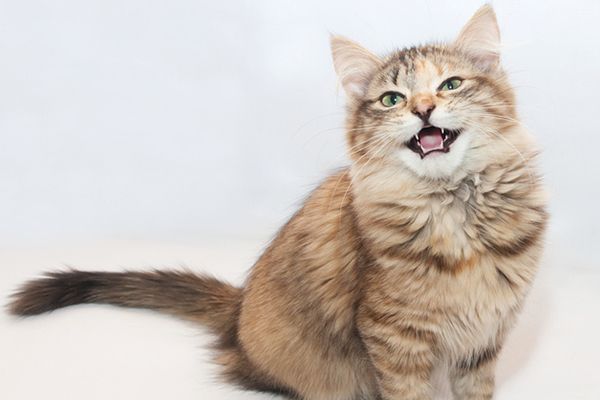 We surveyed experts and compiled a cat adoption checklist to review before you adopt a cat. There are few things in life as rewarding as cat adoption, but it’s a commitment of 10 to 15 years, and many factors come into play. Scores of cats end up in shelters every year because pet parents failed to consider issues such as money, moving and other family members. We’ve asked some experts to help devise a cat adoption checklist to find out — are you really ready to adopt a cat? 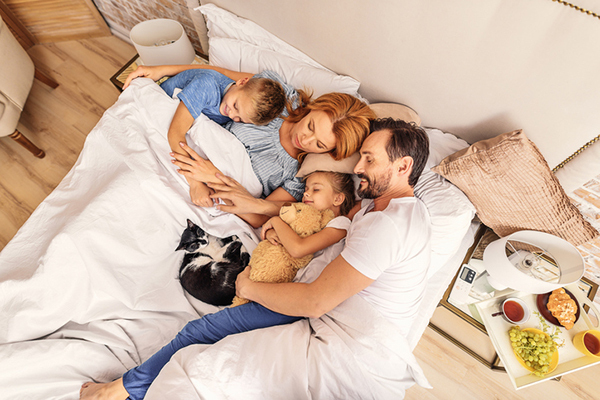 A family in bed with their cat. Photography by YakobchukOlena/Thinkstock. 1. Do you know what cat adoption costs? Gail Ventzke, executive director of Cats Cradle Shelter, echoes, “Are potential adopters willing to save money for medical emergencies? 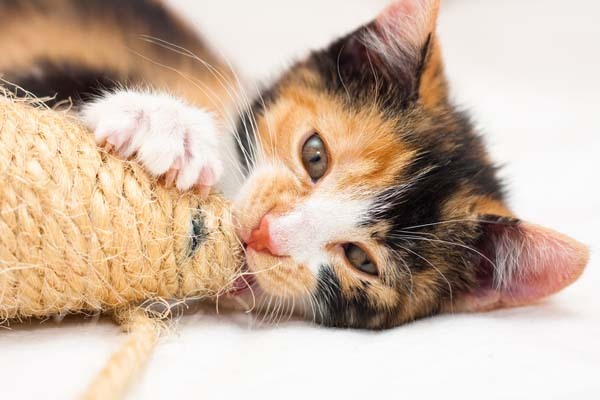 Do they realize they could be taking care of a cat for the next 20 years and all the expenses associated with that responsibility?” Having enough money to cover both the expected and unexpected costs is key to being ready to adopt a cat. 2. Are you ready to commit yourself to the cat for his entire life? To help assuage impulse adoptions, Another Chance Cat Adoption has a 24-hour rule. Folks can meet their new cat but must wait until the next day to complete the adoption. This helps potential adopters to take a step back and rely less on emotions when adopting a cat. 3. Will you make the proper adjustments if a person or a pet in the home has an issue with your adopted cat? The second most-cited reason cats are returned to the Amarillo Animal Shelter is because someone in the adopter’s household has spontaneously developed allergies to cats. You may be the person adopting the cat, but everyone who shares the space with your cat will be affected by his presence. If you’re willing to do what it takes to keep everyone involved healthy and happy — including your cat — then you’re ready to adopt. 4. Are you ready to take your cat with you if you move? 5. 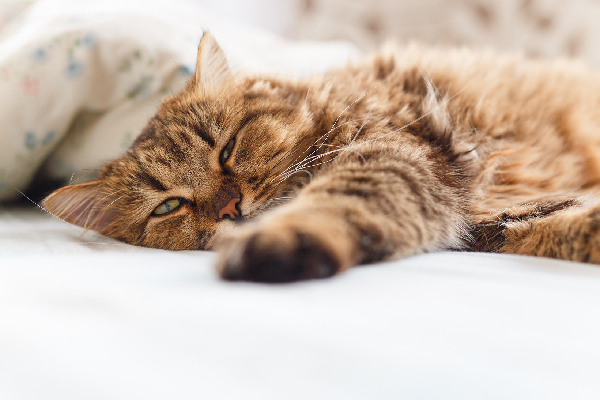 Can you provide a safe environment for your adopted cat? Then there’s the hot-button issue around declawing. Sharon says that not only is declawing cruel and inhumane, it also leads to serious behavioral issues. So, can you live with a cat who has sharp nails that might scratch your furniture? 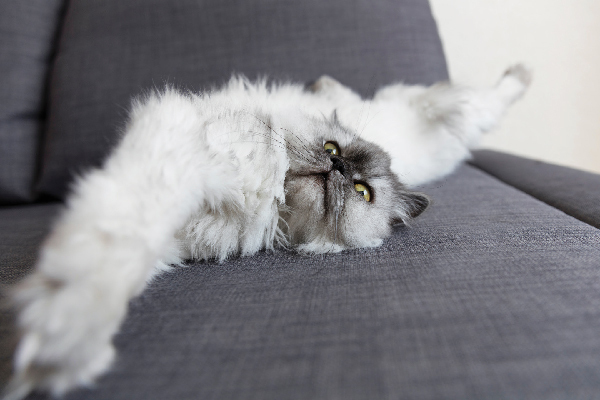 There are plenty of scratching post options, ways to protect furniture and cat nail trimmers out there, but cat guardians must be willing to make the effort. While every person and their situation is different, the one thing every cat guardian will have in common is the responsibility to their fuzzy family member. If you’ve answered “yes” to the above cat adoption checklist questions, then yes, you really are ready for cat adoption. Good advice! Folks looking to adopt need to do their research first, and this article covers it all!